How is a CD made? List Price: $7,795.00 Don't pay list price. 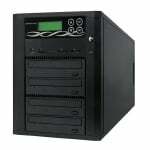 5 drive standalone & automated publishing system to duplicate and print CD and DVD+/-R. Duplicator features 160GB hard drive, 550 disc capacity, includes FlashJet 2 printer. Dimensions 30”L x 26”W x 20”H (cm: 76.2D x 66H x 50.8W) approx. Look at a Features Comparison between the LX software and the optional FX software. We think you'll agree that the FX software is well worth the upgrade! Click here for a small PDF comparison sheet. I year warranty on robotics. 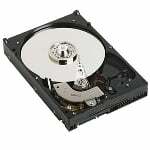 90 day warranty on all recorders and hard drives. 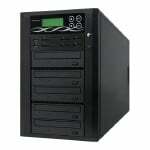 This machine is the workhorse robotics for the standard line of R-Quest DVD and CD duplicators. 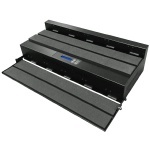 With is long history as a production unit, it has enjoyed one of the top spots for those customers who want a dependable CD, DVD, or Blu-Ray duplicator for unattended operation. This system supports both Macintosh and PC networks accepting image files, artwork and even control of it's duplication functions over Ethernet. You can use your built in web browser or download TrueNet, a standalone program, at no additional cost. The R-Quest TCP-7550 holds up to 550 discs on a rotating hopper for unattended operation. 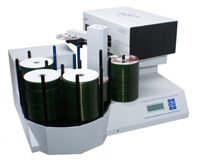 This unit includes the R-Quest Flashjet II printer bundled with the duplicator. R-Quest has several disc printer options which can be purchased separately or as a bundled set to save even more. The industrial design of the TCP-7550-FJ2 will give you reliable service without the need for costly repairs. Reliable robotics combined with R-Quest's proprietary board technology, your publishing system will produce only the finest quality copies without the need for constant human intervention! R-Quest was one of the first companies to produce a high volume disc duplicator and their experience in this field really shows. Printing has never been easier! With the flexibility of the R-Quest controller, you simply create your print image on the program of your choice, load it on the TCP-7550 and let the machine do the rest! It will merge your print file with your master disc and complete both tasks without switching machines! Ultimate convenience! Printing. Duplicating. DVD or CD. Standalone or network. Get the best of all worlds with the new TCP-7550-JF2 ! © Copyright 20165 CD Solutions, Inc., www.cds.com. All Rights Reserved.